Discover the heart of the Norwegian West Coast with mountains and fjords in this stunning winter combination. Experience the snow paradise of Myrkdalen, the UNESCO-listed Nærøyfjord, the Flåm Railway and Stegastein Viewpoint, while you stay at our comfortable hotels. 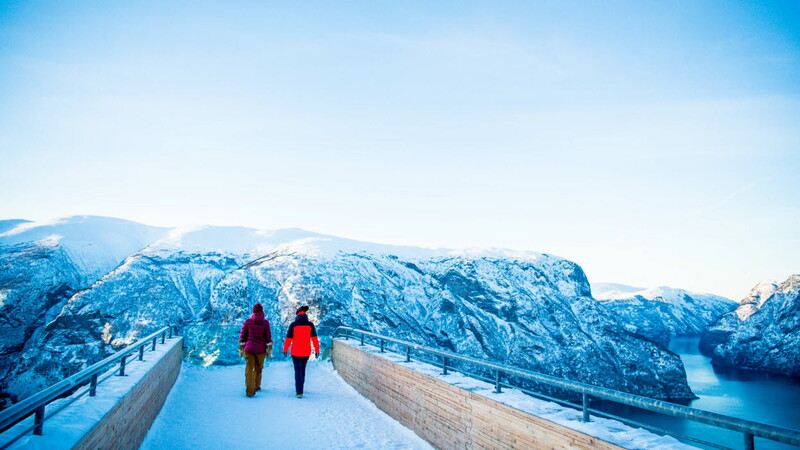 The journey starts at the Myrkdalen Mountain Resort – the largest ski resort in Western Norway. Myrkdalen has 10 feet of snow every year. Myrkdalen and the resort are surrounded by beautiful mountains. In Myrkdalen you will stay at the modern Myrkdalen Hotel – with ski in/ski out access to the ski slopes. Enjoy Scandinavian skiing at its best, superb ski terrain for any skill level and Norwegian mountain landscapes in full winter. Some of the uniqueness of Myrkdalen is its close proximity to Western Norway's fjord landscape. 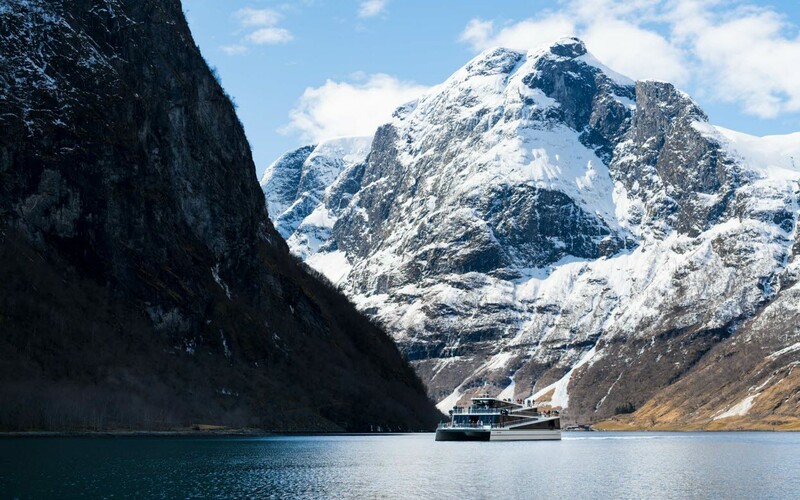 Access one of Fjord Norway's most scenic fjords and cultural areas with a short journey. Only 35 minutes by car to the UNESCO- listed Nærøyfjord, where your fjord cruise awaits you. Our hybrid passenger vessels (Vision) and the fully- electric (Future) will ensure you have an eco-friendly journey through this World Heritage area. Stay at the historical Fretheim Hotel with magnificent views of the fjord and mountains from the hotel windows. Your next adventure starts on the hotel's doorstep. We welcome you to join us for a winter experience like no other. Family-friendly Myrkdalen is located in Voss – only two hours from Bergen International Airport with direct flights from Copenhagen, Amsterdam and London. 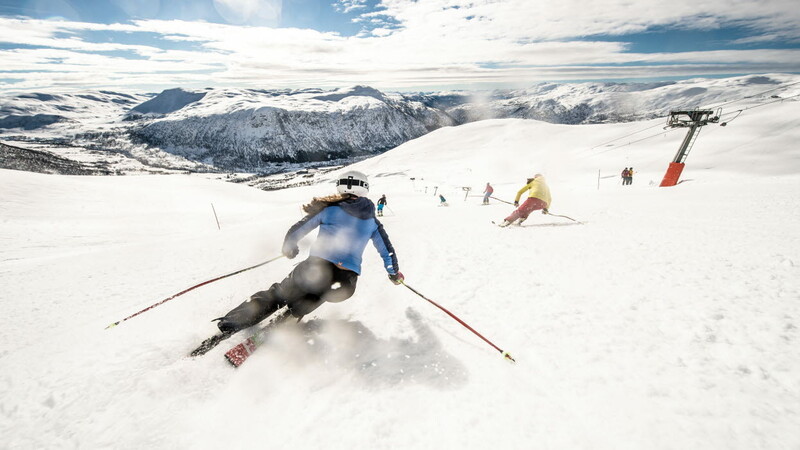 Myrkdalen is one of the snowiest and largest ski resorts in Western Norway – with family-friendly skiing areas, slopes with for all levels of difficulty, terrain parks, ski cross slopes and great off-piste terrain. 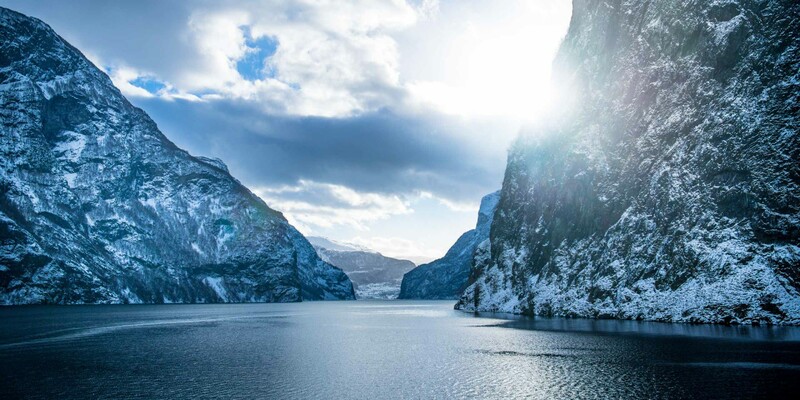 The next day, relax and enjoy a fjord cruise through the narrow and spectacular Nærøyfjorden – surrounded by steep, snow-capped mountains and small, picturesque villages that cling to the mountainsides. The beautiful Stegastein Viewpoint is a different experience in winter. Enjoy the Arctic light, the fresh cold air and the spectacular scenery.